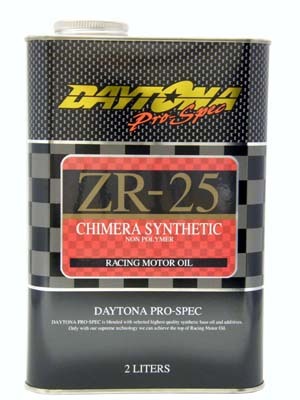 ZR-25 is for VTEC and high rotation NA engines. Outstanding response to severe throttle actions. Low friction oil that achieves low viscosity and airtightness coincidentally. A high performance racing oil that maintains steady viscosity characteristics, even at high temperatures and under high loading conditions. Very quick response brought out from low RPM to high RPM. 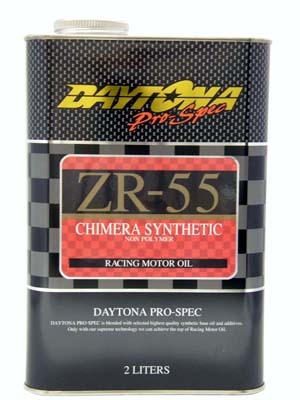 ZR-55 is for large displacement and high power engines. 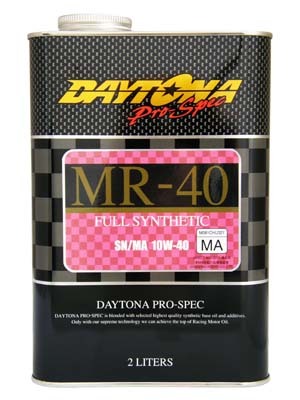 Its high shearing stability and maintenance of viscosity performance fully bring out the potential of an engine. 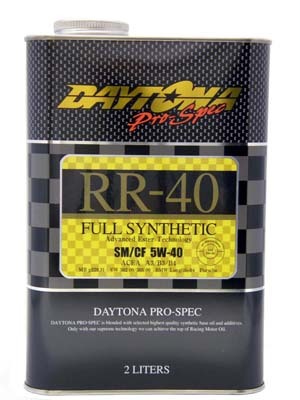 Very high quality engine oil that provides durability and anti thermal shear failure under continuous severe conditions. A high spec engine oil developed from race technology. It contributes to the decrease of the environmental burden by achieving a sharp response with low friction, long performance life and a saving on fuel cost. Strongly protects an engine and decreases friction thanks to the synergetic effect of an efficient synthetic lubricant base oil and an efficient ester developed by our original technology. A long life engine oil that can perform well at everything from city use to sports competition. 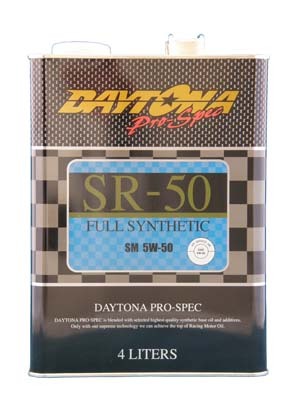 Entrance model of Daytona Pro-Spec series. VHVI base Full Synthetic engine oil. Available for everything from city use to sports competition. Its character of low temperature fluidity,oxidation stability ,high heat resistance cover from normal car to high power engine equipped vehicles. “Full Ester & Non Polymer” Supports a smooth shift feeling with excellence low-temperature liquidity, oxidation stability at high temperature, extreme pressure performance and abrasion resistance. Racing gear oil made from mineral base oil. High lubricating and anti – wear performance. Can be used for the city use to sports driving. Demonstrates excellent cooling capability with high heat exchange effectiveness and excellent anti-bubbling performance by using “P-mac10″ that was developed by our company. The excellent anti-bubbling characteristics prevent cavitation at high temperatures and high revolutions. Ideal for aluminum radiators because there is no aggressive reaction to the metal. Possible to be used down to “-11℃” temperature. This is the first eco-friendly biodegradable sports coolant in this industry. 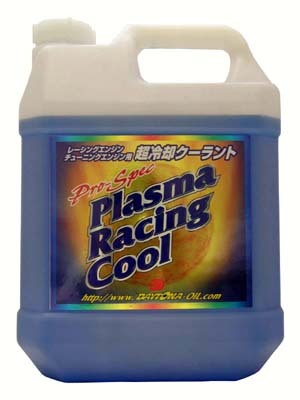 We recommend this for European cars in which water temperatures are relatively high. 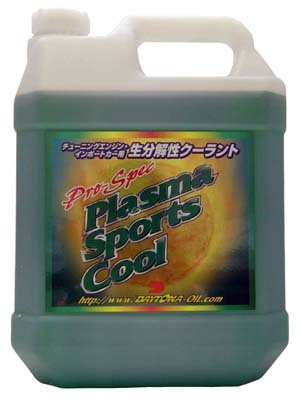 Plasma Sports Cool is a dilution type coolant, so it can be used in all seasons in accordance with the intended use and the environmental conditions. Life cycle of two years. 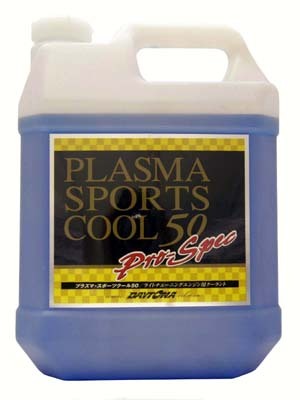 Plasma Sports Cool 50, developed by using the know-how of “Plasma Sports Cool,” is a sports coolant for street use too. This is a long life type coolant that satisfies both the basic requirements, like rust prevention and anti-foaming, and is also cost effective.